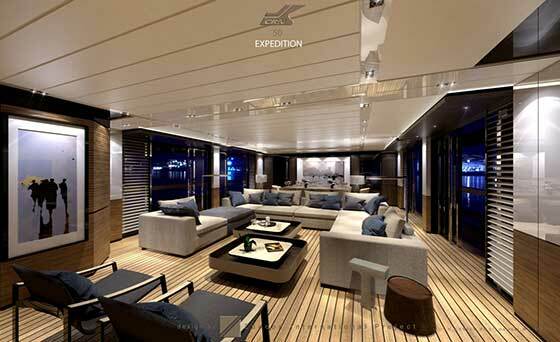 Appointed by the prestigious CRN shipyard in Ancona to design a new yacht on an existing platform for the Explorer category, the studio founded by architects Gianni and Paola Zuccon presents Teseo, a 50 metre semicustom Expedition yacht available with three different layouts to suit all kinds of needs. 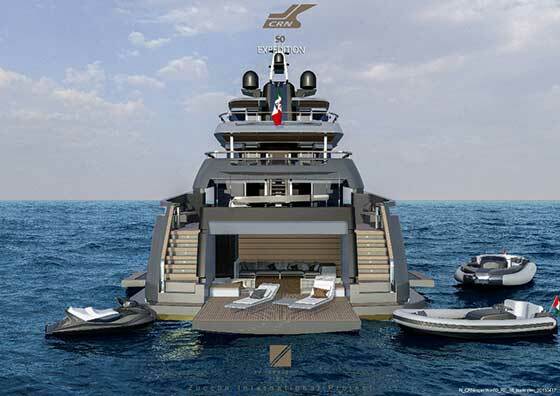 A recurrent element in Studio Zuccon International Project's design work, the theme of timeless go-anywhere design is back again in the new Teseo project, a 50 metre Expedition yacht designed exclusively for the CRN shipyard. Reinterpreting the stylistic features and content historically associated with Expedition Yachts in a contemporary light, Teseo is a product for long sailing trips in all seas and weather conditions. Reflecting on the principal challenge involved in the project, Bernardo Zuccon, in charge of design at Zuccon International Project, emphasised that "one key theme was definition of a flexible functional character capable of offering a variety of different opportunities for life on board, dynamic spaces that change with the needs of the person using the boat: a number of areas on various decks have been set aside to be transformed and adapted in response to potential differences in the requirements of clients who choose to interpret the product in a more traditional way - setting sail to experience everything the sea has to offer - without giving up all the comforts of a classic displacement vessel while maintaining the formal and volumetric features typical of the Expedition Yacht." This means maximum flexibility in the distribution of space is the key element characterising this new project, expressed in different on-board layouts which may be customised to suit the owners' lifestyle. Teseo offers the perfect response to the demands of today's market, which is increasingly demanding boats that save on fuel consumption - and therefore costs - while offering an ever greater selection of water toys on board. The main deck is set up to house two tenders measuring 8 and 5 metres plus a water scooter at the stern, which is bigger than the standard for boats of this size and can be transformed into a big lounge area with loose furniture when the tenders have been launched. One of the variables in the design is the possibility of creating a ‘tender bay' thanks to little patios that can be opened up in the two walls to create a living area opening onto the beach club at the stern. The same space can also be used as a storage and diving area for owners who want to spend a lot of time on their boats without going ashore. The distribution of the cabins over four decks can also be varied considerably, depending on the solutions adopted. In the first proposal, the owners' suite covers the full width of the main deck at the stern and the four guest cabins are on the lower deck, leaving all the space on the top deck free for outdoor areas: a big sundeck at the prow, a panoramic living area and a big open deck at the stern. The second solution is more unusual, with the owners' cabin located on the lower deck along with two of the guest cabins, while the other two are on the main deck. The indoor living area on this deck is intended for use as a balcony over the sea, with four sliding doors that can be used to unite it with the outdoor cockpit. The clear gunwale and teak deck physically entering the living area promote and underline even more this desire to live in harmony with the 'nature' of the sea. Lastly, the third solution offers the owners greater privacy, moving the owners' suite from the lower deck to the upper deck, over a big outdoor patio to the stern and an "alfresco" panoramic dining area to the prow.